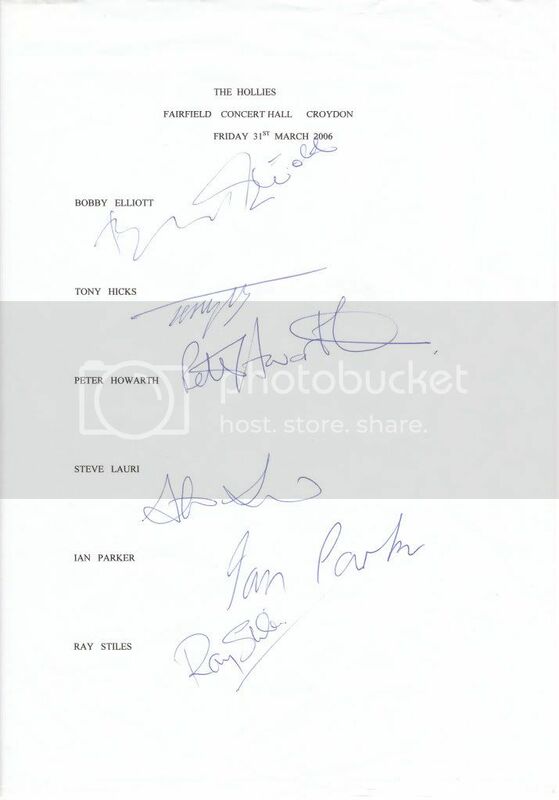 The autographs below were obtained by myself when the lads arrived at the stage door of the Fairfield Hall,Croydon.I arrived at the theatre mid/late morning.The arrived indivuadally during the course of the day. After talking with Steve.it become obvious that Tony had arrived before I got there. Steve was so kind as to take the items, that I wanted signing,to Tony in the theatre,got them signed and then brought them back out to me.